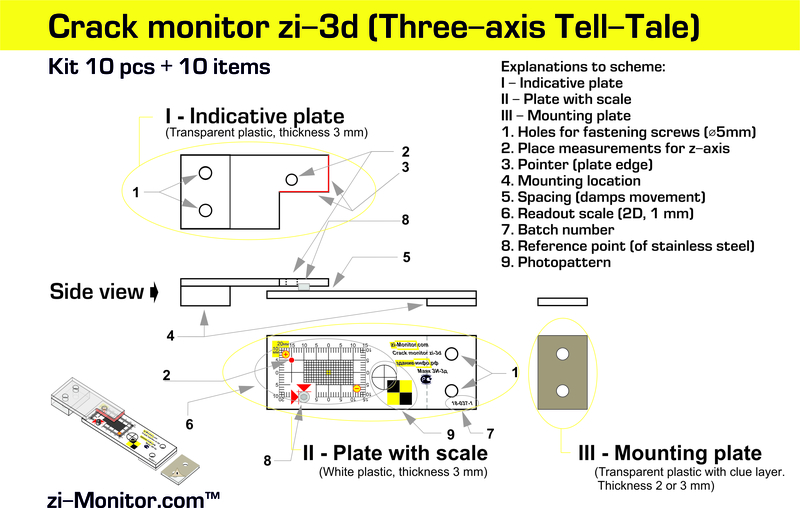 We present you a new model – crack monitor zi-3d. This device is designed for triaxial monitoring of cracks with high accuracy. On the two axes, you can track the changes visually, using the scale of the monitor. 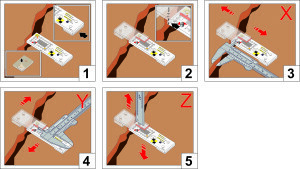 And for a three-axis monitoring, a caliper should be used with a depth gauge. Our development has been used in Russia for more than 5 years and has proven itself well. 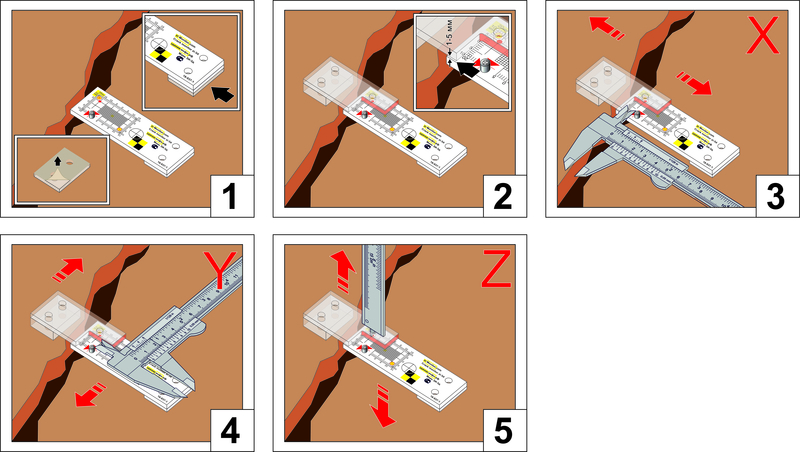 The figure shows the principle of operation of the crack monitor and its design. 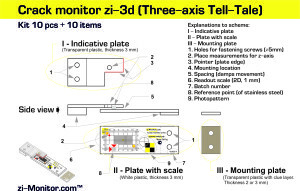 This entry was posted in News and tagged three-axis monitoring, zi-3d. Bookmark the permalink. 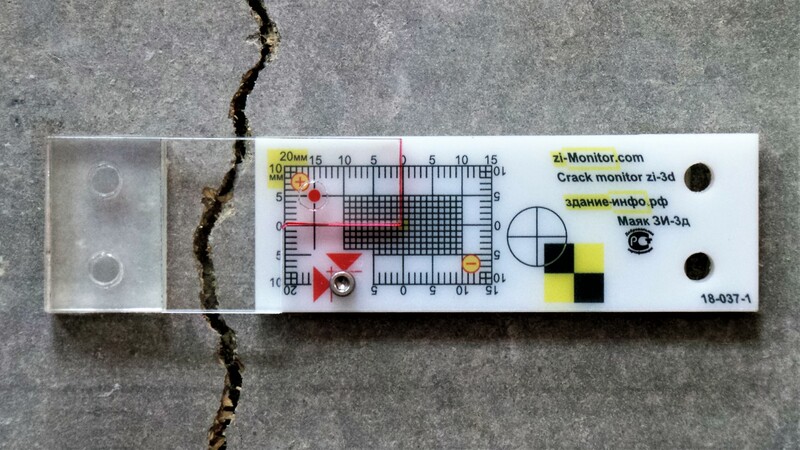 Erik Munck on Not all monitors cracks are the same!